Bigbelly, the leading manufacturer of smart waste management systems, announced Monday that the Township of Montclair, New Jersey ranked as the best and most efficient user of the system worldwide in 2018, ahead of second place Newham Council in the United Kingdom. The company’s global data analysis showed that Montclair had a 98 percent average efficiency rate last year, placing it at the very top of the world’s most efficient Bigbelly smart waste management list (see the top 25 list below). Operating in 54 countries and six continents, Bigbelly was founded on the premise that cities were either collecting too often and wasting fuel and labor costs while emitting excess CO2 or, alternatively, failing to keep up with the demand, resulting in overflowing trash cans that created, litter, health, and safety issues. 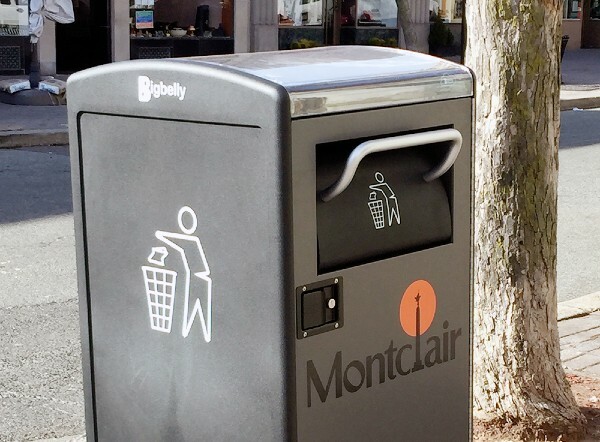 Montclair acquired a total of 70 Bigbelly smart bins in the past two years. The solar-powered units provide greater efficiency because they run motorized compactors which greatly reduce waste volumes, allowing for up to five times the capacity of traditional trash bins. The receptacles also have built-in cloud computing technology which sends out an alert when a bin needs to be emptied or maintained. 1. Township of Montclair, NJ (US) – 98% Average Efficiency for 2018!